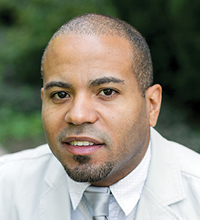 Brian Rainey, assistant professor of Old Testament at Princeton Theological Seminary, earned his MDiv from Harvard Divinity School and his PhD from Brown University. He is interested in ethnicity in the Hebrew Bible and ancient Near East, including anthropological, sociological and cognitive theories of “ethnicity” and their usefulness for the study of ancient societies. He is also particularly fascinated by the way in which modern Christian and Jewish communities bridge the gap between modern ethical concepts and the ethically problematic social context of the Bible. Other interests include Assyriology, biblical mythology and Christian theology, and the development of “monotheism” in the ancient world.